What Should You Know Before Buying a New Construction Home? More and more homebuyers are building and buying brand new homes in Savannah. Here are a few reasons why. 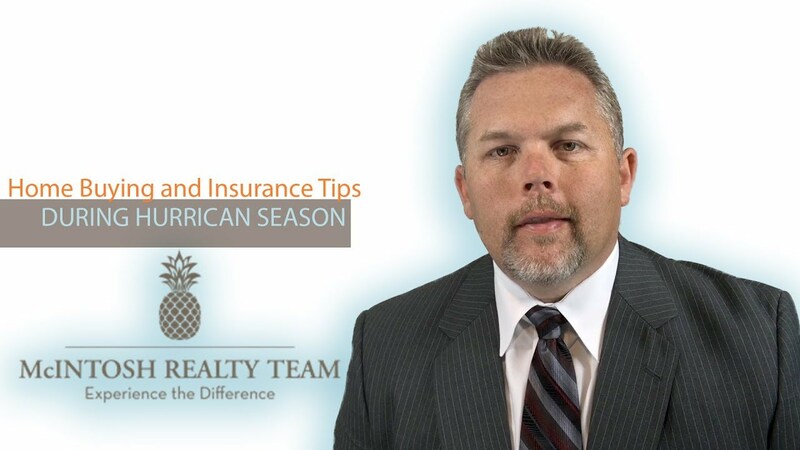 What Do You Need to Know About Your Insurance Before Hurricane Season? Hurricane season is upon us once again. Up until a few years ago, it wasn’t much of a worry for homeowners or homebuyers in our area. After the last few years, however, things have changed. If you’re a homebuyer or homeowner who is looking to get a flood insurance policy in time for hurricane season, there could be a significant delay in your coverage. To learn more about what you’ll need to do if you’re a homebuyer or a homeowner, watch this short video. The window of opportunity may be closing in our real estate market. Inventory continues to be very low and demand remains high. However, home affordability is dropping and interest rates are on the rise. The market may be reaching the limits of price growth and we could be seeing a shift sooner rather than later. To get all the latest details on the current real estate market and what you can do to take advantage of it, watch this short video. What Does a Seller Pay for Closing Costs? If you are selling your home, you should know that there are some fees which may fall on you as the seller. Closing costs, which are completely negotiable, are usually split between the buyer and the seller. They include many fees such as your attorney and title fees. However, there may be even more costs that the buyer wants you to contribute. To find out more, watch my latest video. The market is currently rife with opportunity for sellers. Here’s why you should consider selling now instead of waiting until the summer. Search the entire MLS for homes located in Savannah. Why Should You Have Your Own Representation When Buying? What Should You Know About New Construction in Savannah? Is an Open House a Good Idea When Selling Your Savannah Home? What Are the Associated Costs After You Have Sold Your Home? Why Hasn't My Home Sold Yet? Where Is the Savannah Market Heading? What Do Changing Conditions Mean for You? The McIntosh Team’s goal is to provide their clients with service that is second to none. As Savannah natives, they pride themselves on their ability to share their knowledge with buyers who may be moving to the area, or have found their dream home and need a team of professionals to assist them in getting it for the best price possible. The McIntosh Team provides sellers with accurate market statistics, aggressive pricing, and marketing strategies that will ensure they get top dollar for their home.